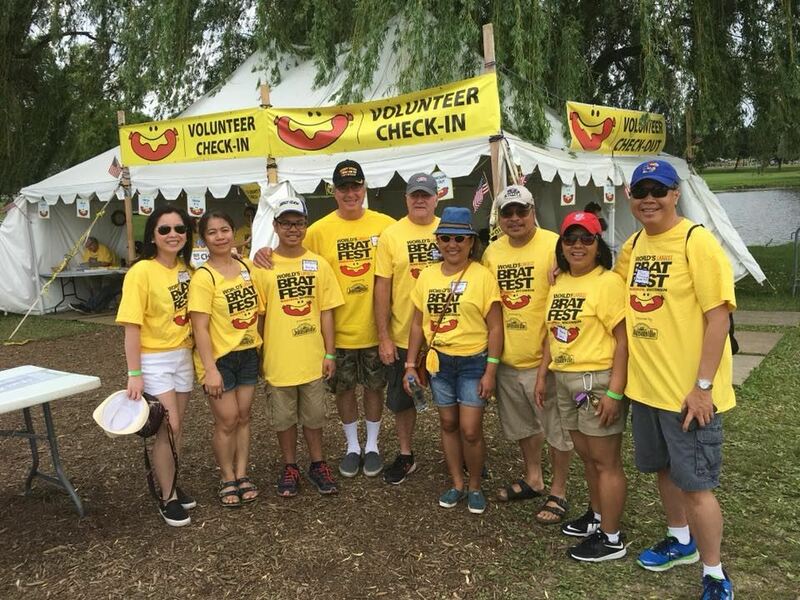 Have fun volunteering and fundraising for PAMANA at this year's Brat Fest 2019, the "World's Largest Bratfest" at the Alliant Energy Center in Madison, Wisconsin! Brat Fest is a 3 day festival with lots of music, food and fun! You can sign up for one or multiple shifts that are available. PAMANA will earn $8.00 per hour per volunteer that works. Positions are on a first-come, first-served basis, so sign up today. Spots are filling fast! The more people we have volunteering, the more funds we can raise! To register to volunteer, please go directly to Brat Fest’s volunteer website. Register here. Once you are on Brat Fest's page, click on “Sign up for this event” and follow the instructions. Please make sure you choose PAMANA as the charity you are volunteering for. If you have any questions, please contact our PAMANA Bratfest volunteer coordinator Bong-Bong Barut at jbarut@gmail.com. Thank you for volunteering and supporting PAMANA!